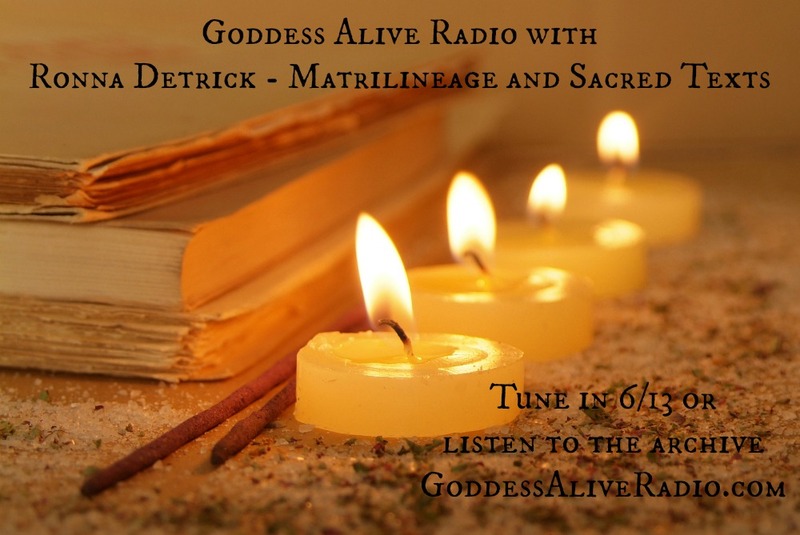 Goddess Alive Radio is delighted to welcome sacred storyteller, sacred conversationalist (!! 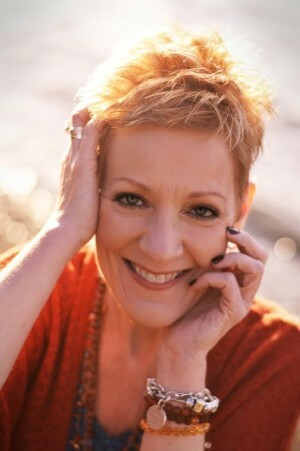 I love this), Ronna Detrick on Saturday, June 8 at 8pm eastern. I have been following Ronna online for some time and I am simply enraptured by her abilities to reclaim the matrilineage of ancient texts and ignite these sacred tales for women again. Ronna’s passion is palpable (see the video on Eve below) and we will be gathering with her in sacred space to delight in her divine tellings. Join us on Saturday, June 13, 2015 at 8pm eastern for the discussion! Ronna Detrick grew up in the church, got a masters degree in theology, and used to be married to a pastor. That was then. Now she’s completely walked away from organized religion – but not without taking the sacred stories of women with her. Unwilling to leave them behind, see them buried in dogma, or risk them being lost and forgotten, she reimagines and retells of Eve, Bathsheba, Mary, and countless others in passionate, provocative, and surprising ways. Ronna reconnects us with our sacred matrilineage and calls forth the divine we carry within. She’s been blogging for over ten years, offering online products and courses for the past six, and having rich, sacred, and sometimes controversial conversations longer than both of these combined. She has done a TEDx talk on Eve, is writing a book about the sacred women she loves, and endlessly makes their wisdom and beauty accessible in a myriad of ways. She drinks champagne on Fridays, spends as much time with great women friends as possible, and is beyond proud to be the mom of the two most amazing daughters in the entire world.